The unique FLEXQ module allows you to automatically analyze up to three blood gas samples in succession. With the ABL800 FLEX analyzer’s Drop 'n' Go capability, there's no need to wait at the analyzer for patient results. 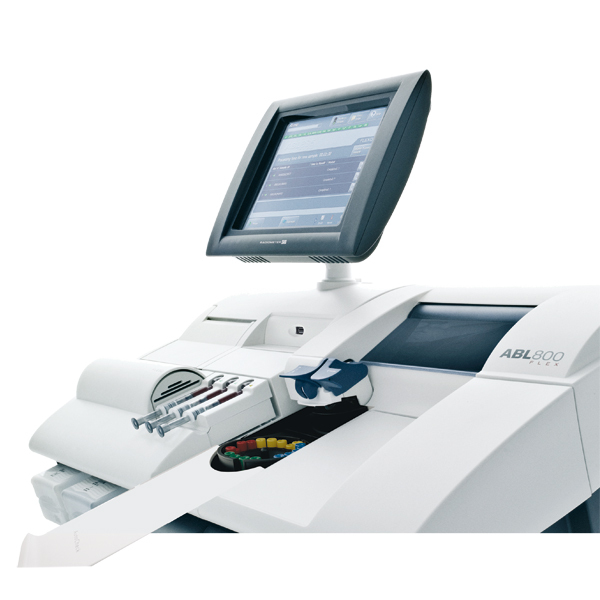 The ABL800 FLEX blood gas analyzer allows you to measure a full panel of up to 18 STAT parameters on the same blood sample. This supports fast diagnosis of critically ill patients and reduces the risks and patient discomfort associated with repeated sampling.